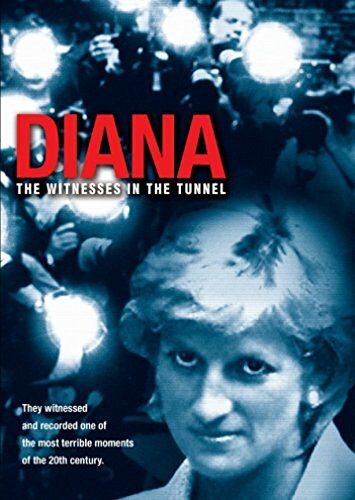 Ken Wharfe was not with Princess Diana during that fatal drive into a Parisian underpass. That horror fell to his colleague Trevor Rees-Jones. But Wharfe had been a constant by her side since Prince Harry was a toddler. Offering close protection for one of the world's most visible public figures, he got to see a side of her hidden from the masses. His biography told that story. Now it is being adapted as a screenplay for a Hollywood movie. He claimed that it was to save Diana's reputation. Others saw nothing more than a sordid kiss and tell by proxy. Much has been written about Diana, Princess of Wales. Perhaps too much. It's been picked over, discussed ad nauseam and collected a lot of dross along the way. But few actually knew her and so they can't effectively sift the truths from the lies. Ken Wharfe did and can. Charged with her personal protection for many years, the former SAS man and police inspector was there. He knew the woman and he witnessed the scenes. In the aftermath of her tragic death, he spent a lot of time speaking out against some of the more sensational accusations against her. Then he wrote a book about their time together, in the hope that she wouldn't be 'airbrushed from history'. What he mostly received was criticism from her sister for the rampant 'commercialization' of Diana's life and death. Prince Harry was said to be devastated. As well he might be. 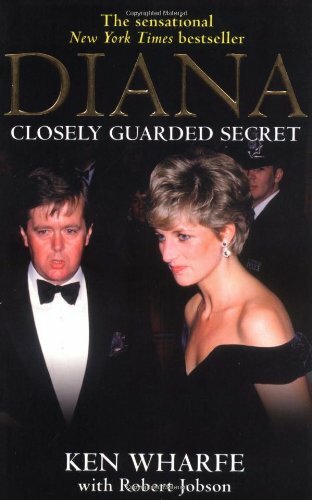 The same book highlighted Diana's romances with Oliver Hoare and James Hewitt. The latter looks embarrassingly like Harry. Yet Ken Wharfe remained unrepentant. He maintained that his memoirs were written to portray the princess in a positive light, against the slurs of the press and establishment figures. Now that story is being turned into a Hollywood movie. Despite the controversy, this book is generally considered by readers to be the most balanced of those about Diana. It doesn't try to make her out to be a goddess nor a deranged whore. Which is more than can be said for the majority of biographies. Ken Wharfe actually knew her, so the over-riding impression is that of an ordinary human being, surviving in extraordinary circumstances. Moreover, it delivers insights into the role of bodyguards working for the royal family (and the Al Fayed family). It is a highly pressurized job, where something going wrong could have a huge constitutional impact. It is currently only in development, with the cast not even arrayed. 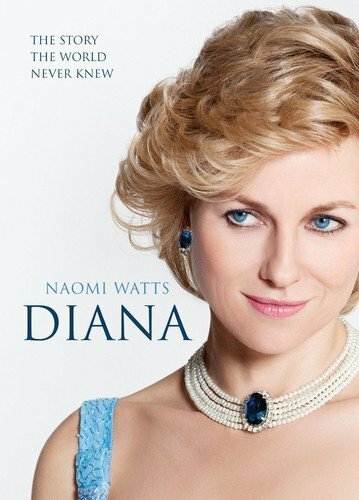 Little is known about this Diana movie, other than it is due for release during 2013-14. Based on Ken Wharfe's memoirs about the princess, it will be directed by Stephen Evans. He has worked on such blockbusters as Prometheus, Avatar, Harry Potter and the Half-Blood Prince, 28 Weeks Later and Charlotte's Web. But not as a director. His expertise has largely been demonstrated to date in technical matters. He was the lighting director for Avatar and Prometheus; and a leading artist for much of the others. Nevertheless, Evans will be at the helm of this Diana film, with a $30m budget in the coffers. Unlike Unlawful Killing, it will not mention her relationship with Dodi Al-Fayed. It will conclude before the accident that killed her. Similarly, it will not gloss over the darker aspects to present a sanitized princess, as Diana seems set to do. The keywords are 'authenticity' and 'reality'. Ken Wharfe and Stephen Evans are determined to show the real Diana on the silver screen. As yet, there is nobody cast in the main roles, though Charlize Theron (pictured above) has been rumored to take on Diana. Ewan McGregor's name has been linked to the role of Ken Wharfe. There will be more here, as information becomes available. The fifteenth anniversary of her death appears to have sparked a green light for films about her. There are three in development. Here are the other two. As he's got older, Harry has started to get a look of Prince Charles about him. But at the time, putting the picture of Harry and James together was a little startling. Ken Wharfe never made the inference by the way; and it would seem that James Hewitt wasn't on the scene until much later than Harry's conception. I don't know about that James Hewitt story. Diana's sisters and brother are all redheads. You just have to wonder what Harry thinks about the rumor and his Dad and grandparents also.